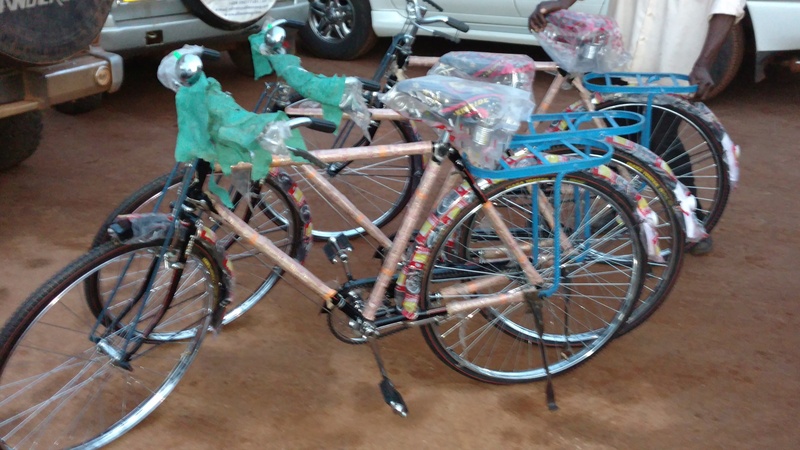 TU III – Post 6 – Bicycles for Pastors, Medical Teams Break Records! first church plants by CTM. 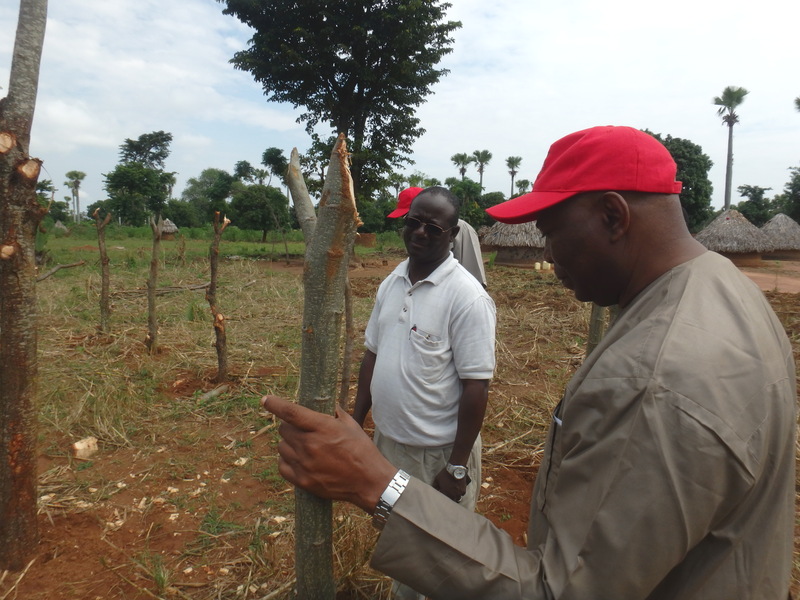 Our purpose was to visit, assess how they were doing, needs, and to encourage them. 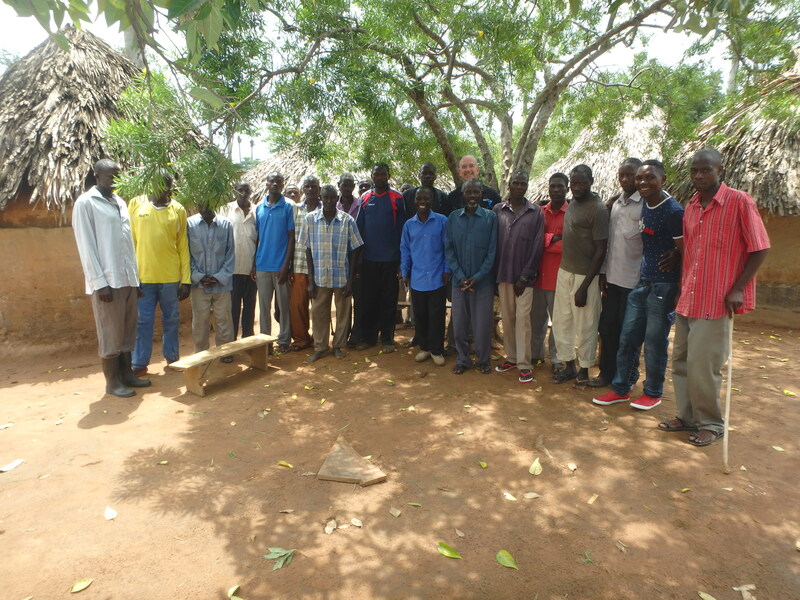 Pastor Paul greeted us, and we took photos of him and is family – 9 children in all! a fishing village, as it is nearby lake. But the problem is that there is no local pastor, and no church structure! We walked around and spoke to the people, and stakes have been set in the ground where a future church structure might be built, given the resources. We prayed with the people that God might provide a pastor to guide them, and eventually a meeting place in which to worship. and about 15 responded “yes”! 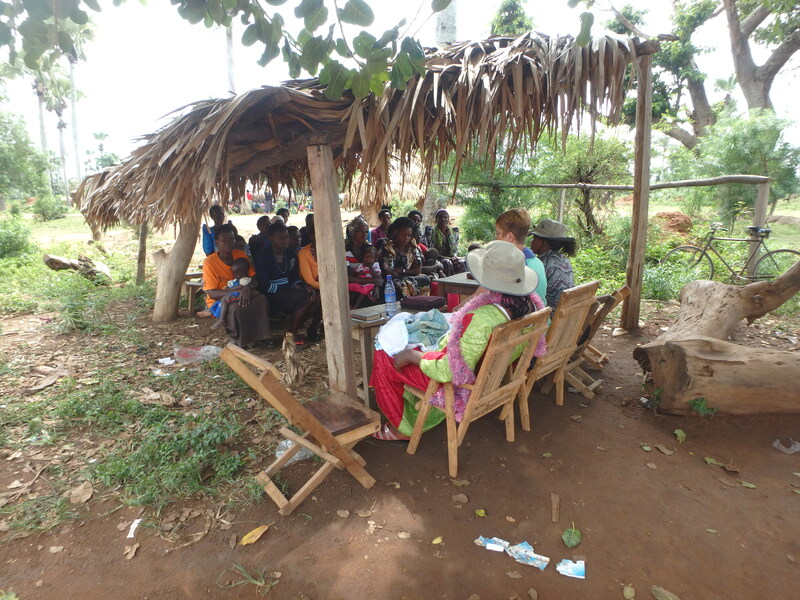 We prayed with them, and let them know that we would be following up by delivering bibles the next day. 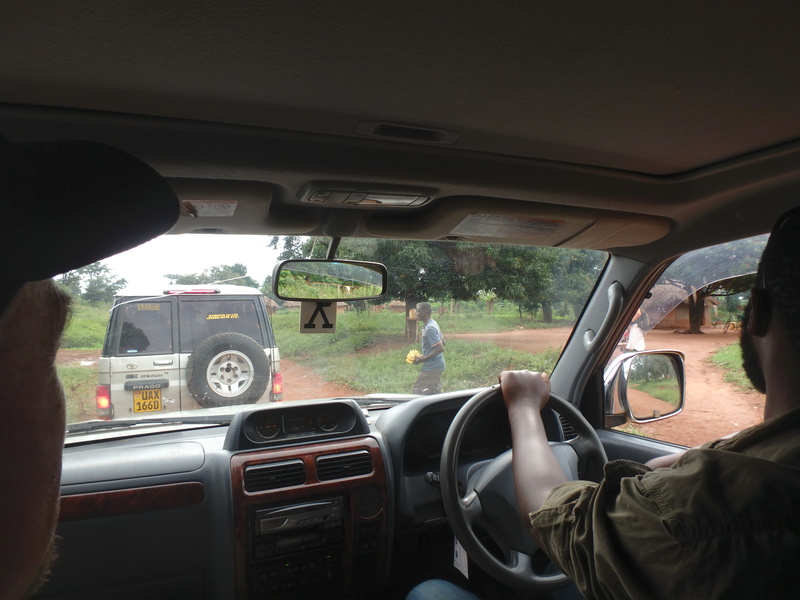 Ngole was the next village stop, checking on the Village and Medical teams ministering there. Things seemed to be going well, so we called it a day and departed back for the hotel. 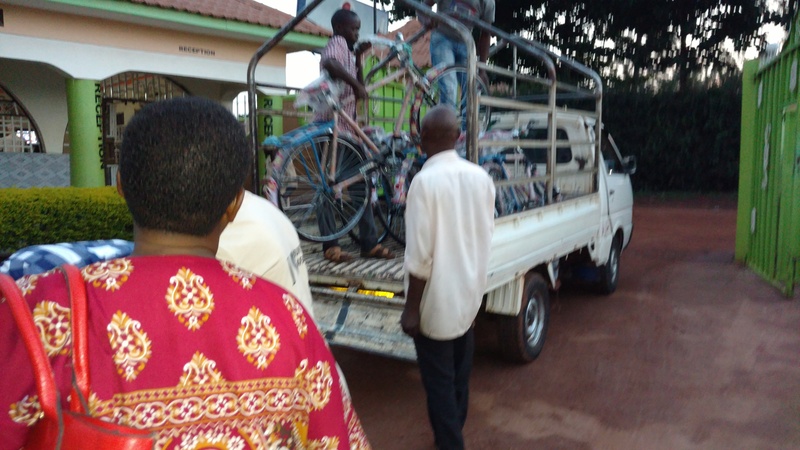 July 28th, Friday – Bikes Delivered for Pastors, Setting Out Once Again! As we gathered in the courtyard, a truck pulled up to deliver bicycles for some local village pastors. From your donations, we initially purchased 10 bikes (@ $75 each), but Nathan – one of our volunteers – donated $150 while he was with us to purchase two more bikes, making 12 bikes in all. A bicycle is a very valuable means of transportation for people in the villages. If you have a bike, you are considered very blessed! It not only provides basic transport to get out and minister to the villagers, but also a means of carrying produce back from the fields. Arthur will be seeing that these bikes get to the pastors who are without any means of transportation. around and talk to people in small groups of 2-4, while others would park themselves in one place and let a larger group gather around them. It turns out, both approaches work. One team saw 35 adults and 40 children come to faith. Many of the 14 women that accepted Christ have Muslim husbands, so please be in prayer for them to stay strong and even influence the men to follow Christ. The two medical teams are working hard each day. 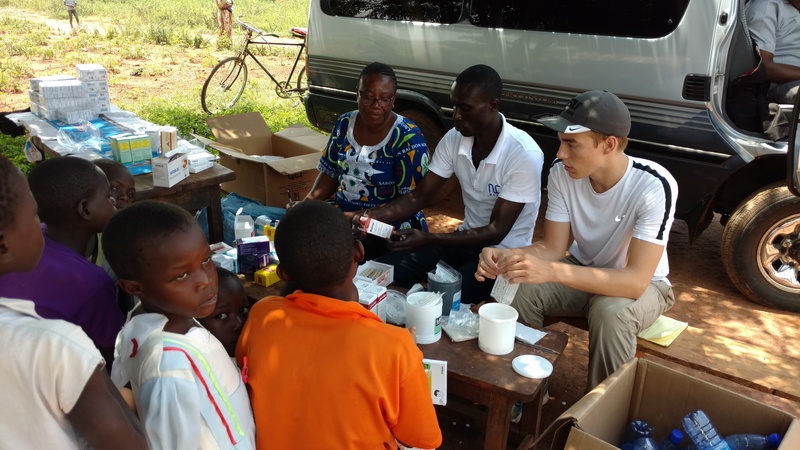 When the villages find out there is a free clinic, they flock to get treatment for various illnesses starts arriving fast. Most problems are minor, but if left untreated become big issues. Many of the children have worms and there are cases of malaria. Beyond that is a myriad of other problems to try and help. There are two teams with two doctors and some nurses. In addition, there are others that volunteer taking down information, distributing medicine, crowd control and sharing Christ with those who wait. The week started slow, but yesterday the teams broke all records for number of people being treated, with each team seeing over 600 in just a few hours! All total, they have helped more than 3400 people over the first four days. But the beauty of these teams is that, while they were sharing the love of Christ to all these people through medical treatment, 82 of the villagers turned their lives over to Christ. 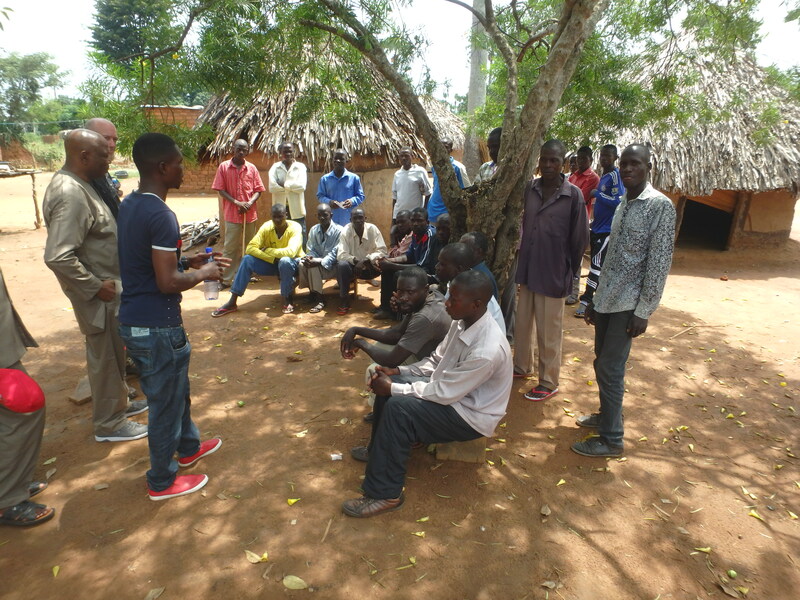 What a fantastic component of our Transform Uganda ministry! Previous PostTU III – Post 5 – Car Breakdown was in God’s Plan After all!Next PostTU III Post 7 – Sat – A Building to Finish, and Wedding in Nabigaga!